Strata Data Conference is where cutting-edge science and new business fundamentals intersect—and merge. It's a deep dive into emerging techniques and technologies. You'll dissect case studies, develop new skills through in-depth tutorials, share emerging best practices in data science, and imagine the future. Formerly known as Strata + Hadoop World, the conference was created in 2012, when O'Reilly and Cloudera brought together their two successful big data conferences. 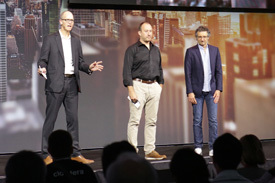 Program Chairs Doug Cutting (Chief Architect at Cloudera and founder of Apache Hadoop), Ben Lorica (Chief Data Scientist, O'Reilly), and entrepreneur Alistair Croll have created a program that covers the entire range of big data tools and technologies. Strata Data Conference covers current hot topics like AI and machine learning, and focuses on how to implement data strategies. 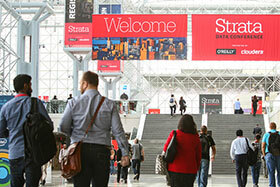 The data industry is growing fast, and Strata Data Conference has grown right along with it. We've added new sessions and tracks to reflect challenges that have emerged in the data field—including security, ubiquitous computing, collaboration, reproducibility, new interfaces, emerging architecture, building data teams, machine data—and much more. 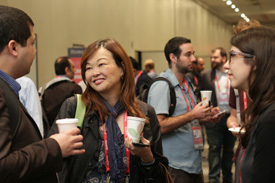 Strata is the largest data conference series in the world, yet it’s kept the informal, collegial spirit that makes it one of the best places to connect and collaborate. Strata Data Conference is where big data's most influential business decision makers, strategists, architects, developers, and analysts gather to shape the future of their businesses and technologies. If you want to tap into the opportunity that big data presents, you want to be there. is an entrepreneur with a background in web performance, analytics, cloud computing, and business strategy. In 2001, he co-founded Coradiant (acquired by BMC in 2011) and has since helped launch Rednod, CloudOps, Bitcurrent, Year One Labs, and several other early-stage companies. He works with startups on business acceleration, and advises a number of larger companies on innovation and technology. A sought-after public speaker on data-driven innovation and the impact of technology on society, Alistair has founded and run a variety of conferences, including Cloud Connect, Bitnorth, and the International Startup Festival. 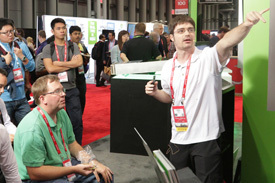 He’s the chair for Strata Data conference. He has written several books on technology and business, including the best-selling Lean Analytics. Alistair tries to mitigate chronic ADD by writing about far too many things at Solve For Interesting.